The Best 3d Printing Software On One Platform – The vision of John Dogru, the CEO of 3DPrinterOS. Microsoft interview with John Dogru. The vision is simple, one 3d printing platform that brings all the fragmented and disparate software together, allowing users to easily print to many different manufacturers, from one easy-to-use 3d printing software interface. From the time he was a child, John Dogru had always shown interest in technology, often accompanying his parents to their Computer Science lectures at age five. An entrepreneur since he was studying Electrical Engineering at the University of Texas, he was fascinated with the idea that 3D printing could one day transform traditional manufacturing and be available to masses. 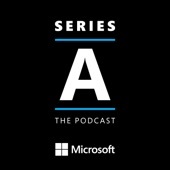 “I quickly realized (as a child) this mechanical world had a lot of restrictions,” he tells host Jim Brisimitzis in the latest edition of Series A-The Podcast. Dogru offers valuable insights into founding a business in a still budding field, where technology is just beginning to catch up to the overall vision. He compares it to when IBM DOS first came on the scene. “You need a platform that’s agnostic to whatever printer manufacturer and design tools they’re using,” he says. 3DPrinterOS aims to do just that. The shift we’re making right now is where this digital fabrication is not for prototyping anymore. It’s for made for end users.